Consecutive Sudoku for Monday, April 24. 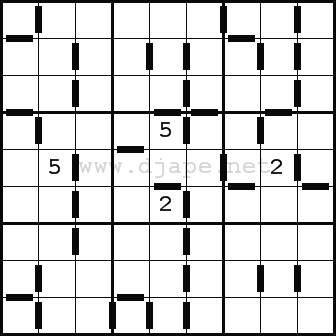 This entry was posted in Free sample puzzles, Sudoku Variants and tagged CONSECUTIVE, Consecutive Sudoku, EASY, greater/less. Bookmark the permalink. Post a comment or leave a trackback: Trackback URL. I like it! I look forward to seeing some that are more difficult though. This sudoku has TWO solutions. Oops, the second solution contains consecutive numbers in the cell, where there is no mark. So, the solution is unique.